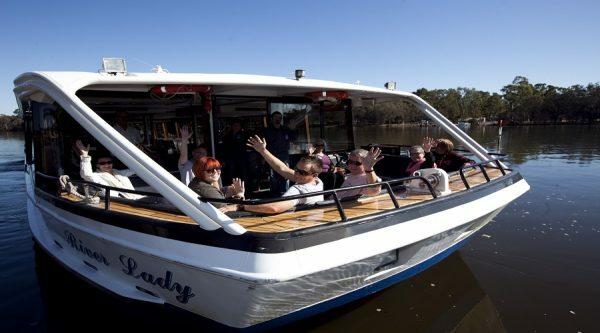 Perth's Famous Swan River Wine Cruise | ADAMS | Book Today! The Swan River flows through the City of Perth and in 2004, was awarded the status of Western Australia’s first heritage icon. The Swan River links suburbs and regions and is also known to be home to a number of marine species, bird species and the iconic Black Swan. Founded in 1840, the Sandalford Estate is one of Western Australia’s oldest and largest privately owned wineries. Be treated to a ‘behind the scenes’ winery tour and film presentation featuring the history of the Sandalford Estate and an exclusive demonstration of the wine-making process from vine to bottle. Indulge in a premium wine tasting featuring 6 premium Sandalford wines and decide on your favourite wine to accompany your main course. 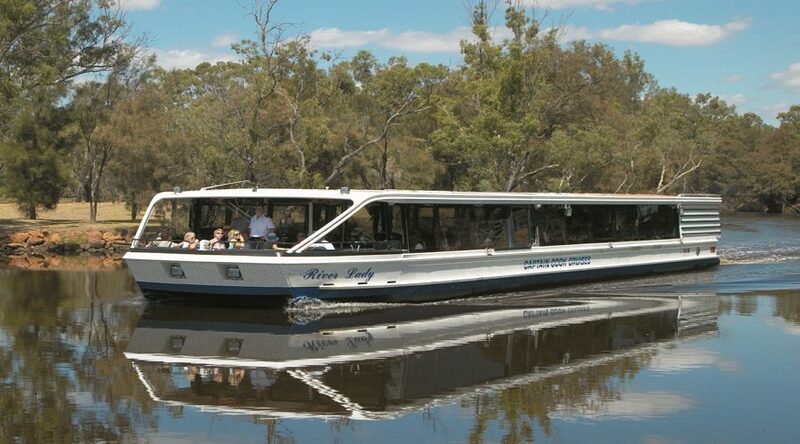 Whilst on the Perth’s Famous Swan River Wine Cruise experience the expert Captain commentary on the Swan River’s history and interesting facts. 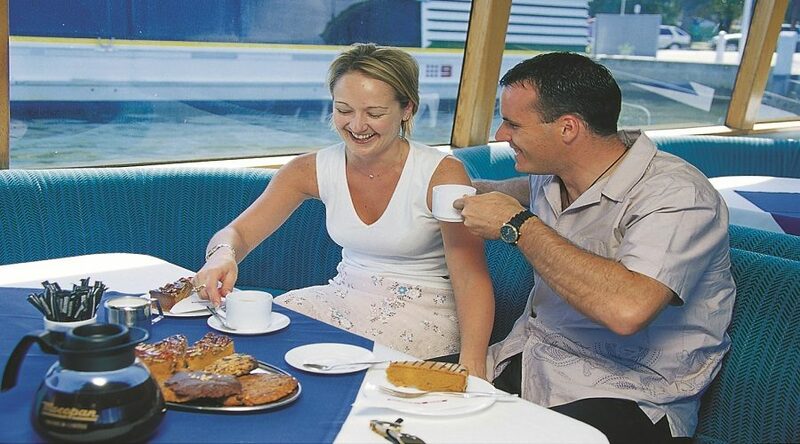 Enjoy a delicious morning tea shortly after you board, followed by premium wine tasting with cheese and biscuits. An informative Captain’s commentary about the river’s history will enhance your morning’s experience. 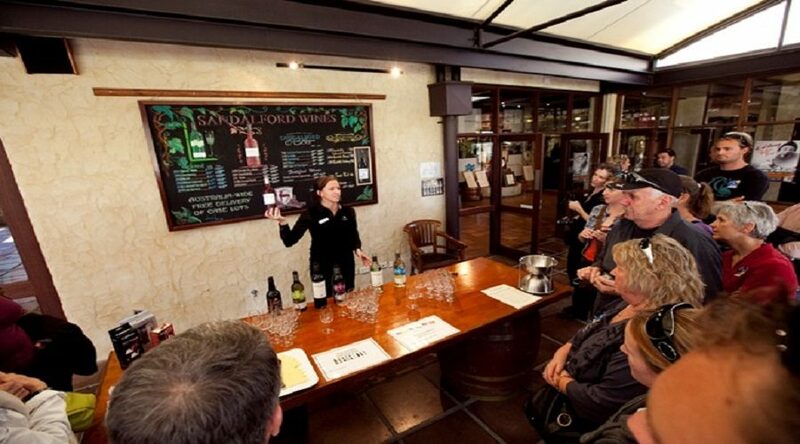 Disembark at Sandalford Estate for an exclusive ‘behind the scenes’ winery tour and film presentation. This is followed by a unique ‘Wine Flight’ tasting of 6 premium Sandalford wines. A 2-course lunch is served throughout the tasting allowing you to decide on your favourite wine to accompany your main course. Upon re-bearding complete your day with a tempting afternoon tea, complimentary wines and entertainment provided by the crew. 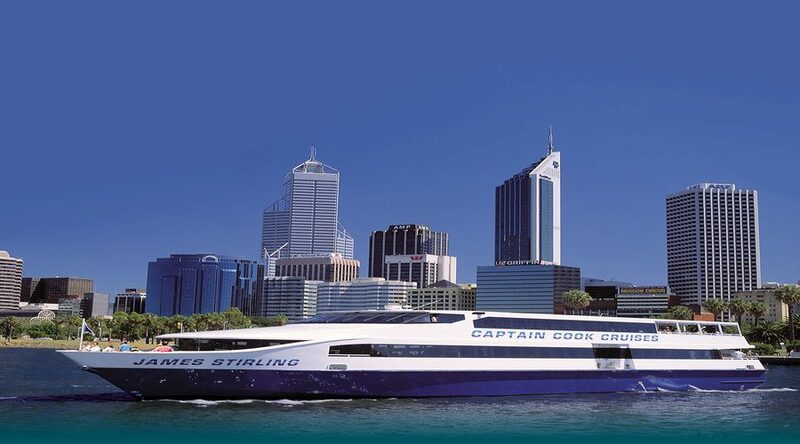 This cruise is operated by Captain Cook Cruises. Cruises do not operate on certain public holidays. Please advise of any dietary requirements.